Just like you said, it is super easy and rather hassle free from developing it on your own. I do favor XP2 over the Kodak version since it is purple base, staying closer to actual true B/W compared to Kodak 400CN (brown base, closer to colour film). Although, I am more than willing to still shoot colour until Winter comes again. That and developing Delta 400 (which is the B/W I would shoot now), is time consuming as it is tiring. The lead shot is as nice as always. 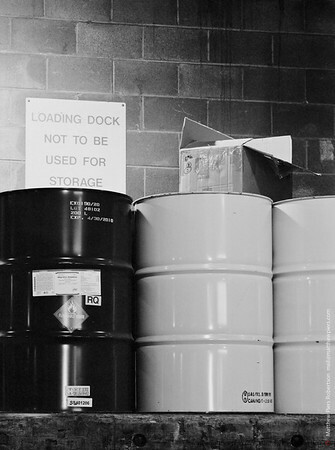 That photo of the loading dock with the barrels - wow. I think I somehow miss B&W film, and always loved (and developed) Ilford film myself. This is an interesting counterpoint to my lament regarding film processing. What do you use to scan your negatives? Danny, I completely agree than B&W is perfect for winter; here in Toronto at least there's so little colour that it's a natural fit. But I also prefer B&W for my photos in New York, and keep one of my two backs for the GX680 loaded with XP2 for general use. Well, as general use as any camera weighing ten pounds can be. 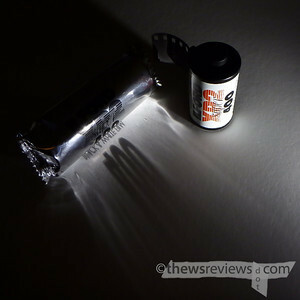 I should also mention that you had an XP2 review long before I did. You also trump me with direct experience with both XP2 and 400CN. Wolfgang, that photo is from my Fuji GX680, which has a negative that's 56x76mm. 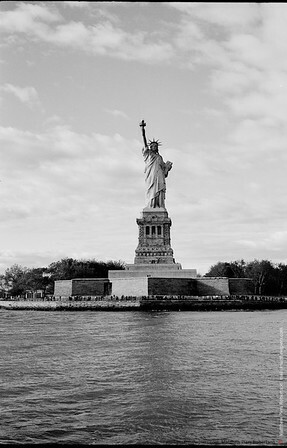 I do think that small format B&W film looks better than digital, but medium format results are better still. So the film can't quite take all of the credit for that photo – I think the format is a big part of it as well. The photographer, well, not so much. Bill, I think you mean this one – I think it makes a difference that our experience is the opposite. I found digital photography first, learned photography through it, and have moved to film as a simplification. Scanning for the small format is with a Nikon Coolscan V, which is their last (final) consumer-level dedicated transparency scanner. The medium format is scanned on a cheap Canon 9000F (i'm brand agnostic) flatbed with an adapter from betterscanning dot com. I use Vuescan, the world's most frequently updated scanner software, which lets me import the data into Lightroom in a raw format.